creative verbal roughhousing at school. eat it in your den? With some art". I just thanked my lucky stars that I wasn't Michael Pratt come morning break. the stairs. I lied about the stairs bit. pan on the hob before stirring in the chorizo; then add the onion, thyme and bay. 10 minutes until the liquid has reduced slightly, and the potatoes are nearly done. lovely .. as always ! It's an old chalkboard that I have knocking around the kitchen. Glad you like the shot guys. 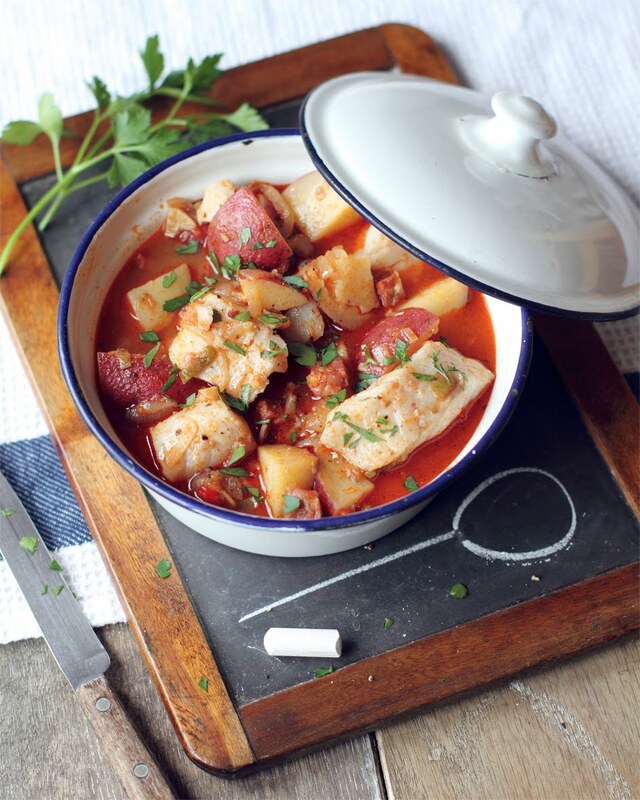 Brilliant idea to present the fish stew!